Lock in a great price for Lada Krabi Residence - rated 8.3 by recent guests. Friendly receptionist. Clean room, good air con, great shower. Just the right amount of comfort. Night market there too. I'd come again! Great location, spacious room and comfortable bed, water replenished every morning, polite and helpful staff, definitely recommend for the price. Good location in center od the town. You van book all kind of transfers/trips on site with fair price. Second visit lived up to expectations very close to night markets and fruit market. It was nice that when we checked in, the receptionist directly helped us book our transport to Koh Lanta for the next day. Also the room is okay and perfect for one night. Close to the fruit bazar and city center. Breakfast has been great. Wifi is fine. No problem except picking up. Excellent location, not high rise so didn't have to use lift only with luggage. English Channel on television. Bed big and very comfortable . Have booked again end of month. Will be third time we have stayed there. I have ti say that staff is really nice, they speak good english, especially one guy, unfurtunately I dont know his name. Location was perfect, just a step from the market, where you can find fresh tropical fruit and a lot of fried chicken. Massage salon was also perfect, breakfast is good as well. Highly recommend. Close to everything, nice food market nearby. Clean and peaceful. 2 free bottles of water everyday which was nice. One of our top picks in Krabi town.Lada Krabi Residence is a 1-minute walk to the night market. 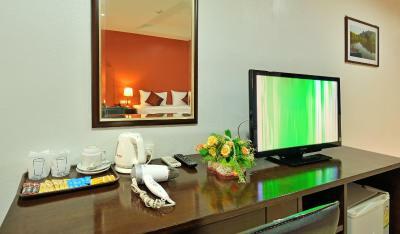 It offers modern air-conditioned rooms with free Wi-Fi. A 5-minute walk from Vogue Shopping Centre and Walking Street, the hotel is equipped with a 24-hour front desk. The property is a 15-minute drive from Ao Nang Beach and Krabi Airport. Fitted with tiled flooring, rooms at Lada Krabi Residence are equipped a flat-screen cable TV, a refrigerator and a telephone. Shower facilities are included in an en suite bathroom. For guests’ convenience, the hotel provides luggage storage and safety deposit boxes at the front desk. Shuttle service can be arranged upon request. 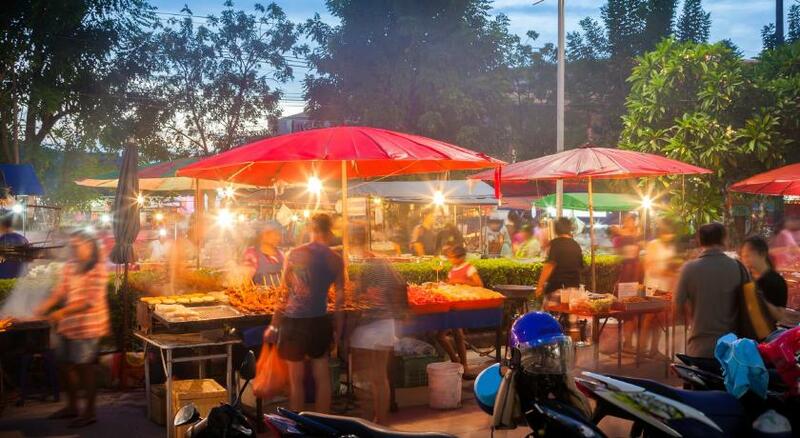 Local dining outlets can be found within a 5-minute walk from the property. This is our guests' favourite part of Krabi town, according to independent reviews. This property also has one of the best-rated locations in Krabi town! Guests are happier about it compared to other properties in the area. 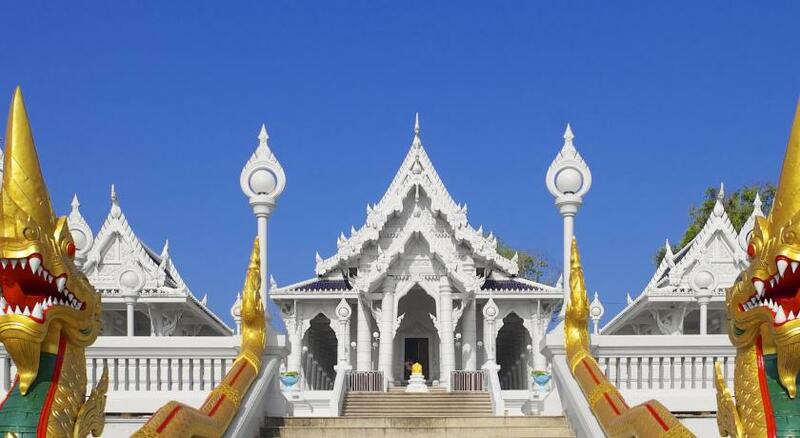 Lada Krabi Residence has been welcoming Booking.com guests since 17 Dec 2012. When would you like to stay at Lada Krabi Residence? Air-conditioned room is equipped a flat-screen cable TV, a refrigerator and a telephone. Shower facilities are included in an en suite bathroom. Room offers air conditioning, a flat-screen TV and an en suite bathroom. This triple room features a tile/marble floor, cable TV and electric kettle. This quadruple room features a cable TV, electric kettle and air conditioning. House rules Lada Krabi Residence takes special requests - add in the next step! All further children or adults are charged THB 500 per night for extra beds. Lada Krabi Residence accepts these cards and reserves the right to temporarily hold an amount prior to arrival. Nice hotel in a central location. They charge for lockers if you would like to leave your bags- this is strange practice like for the hotel - they harm more their business with it causing customer dissatisfaction than earn on it. Good location. Great value for money. They don't provide pick up or drop off to or in the hotel. Some staff members were trying to sell trips all the time! It was really enjoying, because you have it all the time on the street and come to hotel to rest and not being embattled. Not to mention the trips were overpriced. One of the members was trying to make “dead-serious” jokes which wasn’t funny like “-Can I have a room key? -No”. That’s not how you treat your customer. Breakfast was ok (sometimes cold) but nothing special.